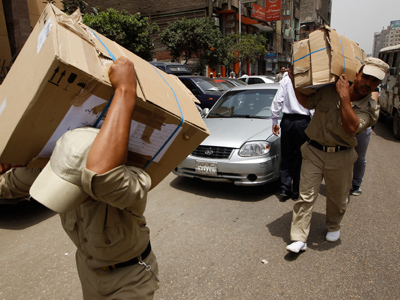 Egypt's ruling military council is to set forth an interim constitution ahead of the presidential race. It will charge the newly elected leader and the council itself with powers that many fear could undermine the achievements of last year’s revolution. The Supreme Council of the Armed Forces (SCAF) is pushing forward an interim constitution ahead of the May 23 presidential election. 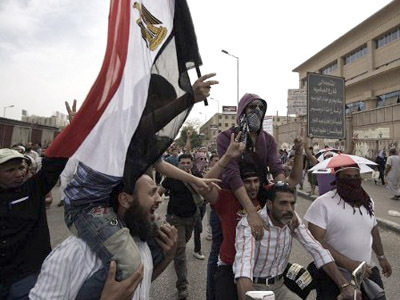 The measure comes after the country’s Islamist-led parliament failed to form a constituent assembly charged with the creation of a new Constitution of Egypt, Al-Ahram reports. The interim constitution is expected to endow the new president with the right to dissolve Parliament. In turn, the People's Assembly would be granted the power to form a government. Exceptions to this clause include matters which fall under the defense, interior, military production, foreign affairs, information, finance and justice portfolios affairs. The lower chamber would also have the right to withdraw confidence from the incumbent government. The document would also grant the SCAF absolute power to review the military’s internal affairs, including the budget, armaments and military law. The budget can also be discussed by Parliament's defense and national security committee, but only in secret, closed-door sessions. The military will serve to protect the national security, safeguard the national unity and protect the constitution and the revolution's legitimacy. 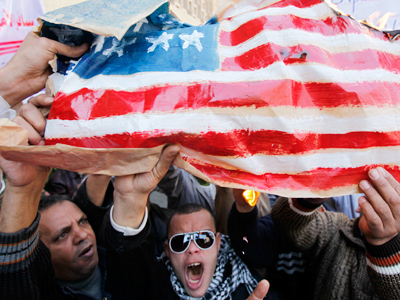 Some observers believe that the proposed constitution would simply maintain Egypt's military as a government in itself. Journalist Bel Trew believes that no matter who wins the presidential race, the military would still insist on staying in power. Lawrence Davidson, Professor of Middle East History at West Chester University, explained to RT that the military in Egypt are trying to create a so-called “Turkish model” where the military stands independent and autonomous outside the government, essentially holding veto power over it. Davidson also added that the secularists are now frightened of what the Islamists might do if they gain complete power in the government. The secularists, he says, might very likely move towards an alliance with the military, as a lesser evil. 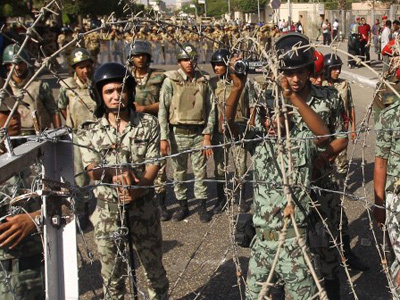 The president, under the new charter, would be the commander-in-chief of Egypt's armed forces. The president would also be given the authority to declare war – but only with the approval of the SCAF and the People's Assembly. Under Egypt’s preceding 1971 Constitution, which functioned during President Hosni Mubarak’s thirty-year rule, the president was endowed with vast powers. He could dissolve parliament and appoint or dismiss a government, as well as individual ministers. Although Parliament also had the right to issue a no-confidence vote against the government, the president could send that decision back to the legislature. The SCAF has warned Parliament that unless a constituent assembly is formed by May 20, it will unilaterally issue an "interim constitution" as an annex to last year's constitutional declaration. 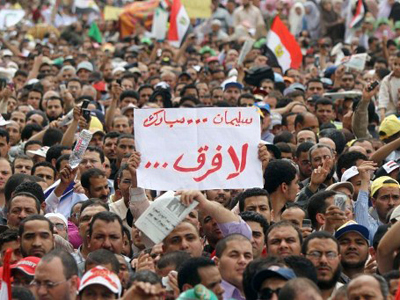 Parliament remains opposed to the SCAF’s move, but has failed so far to speak in a unified voice. Thus far, the negotiations between opposing parliamentary factions have reached a deadlock over the details of an annex to the Constitutional Declaration that will define the powers of the president until Egypt’s full constitution is drafted. 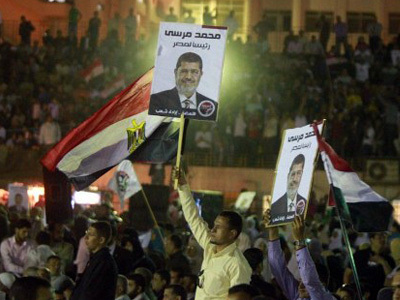 The Muslim Brotherhood cannot agree with Parliament's secular forces. The latter claim that Islamists will abuse their majority in the People’s Assembly and push their agenda into the country’s constitution.